Definition at line 424 of file ddrawint.h. Definition at line 430 of file ddrawint.h. Definition at line 429 of file ddrawint.h. 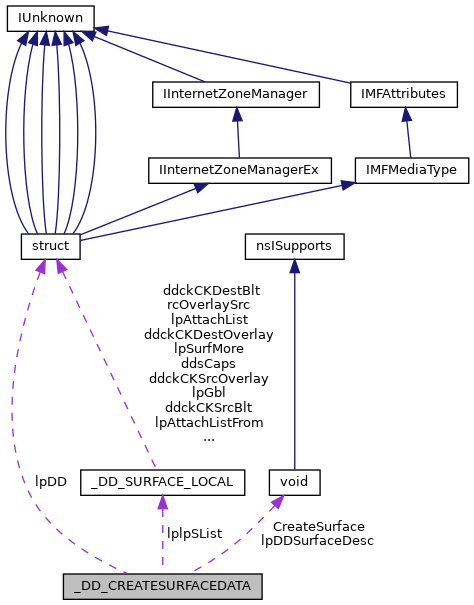 Referenced by DdCreateSurface(), and intDdCreateSurfaceOrBuffer(). Definition at line 428 of file ddrawint.h. Definition at line 425 of file ddrawint.h. Definition at line 426 of file ddrawint.h. Definition at line 427 of file ddrawint.h. Referenced by DdCreateD3DBuffer(), and DdCreateSurface().